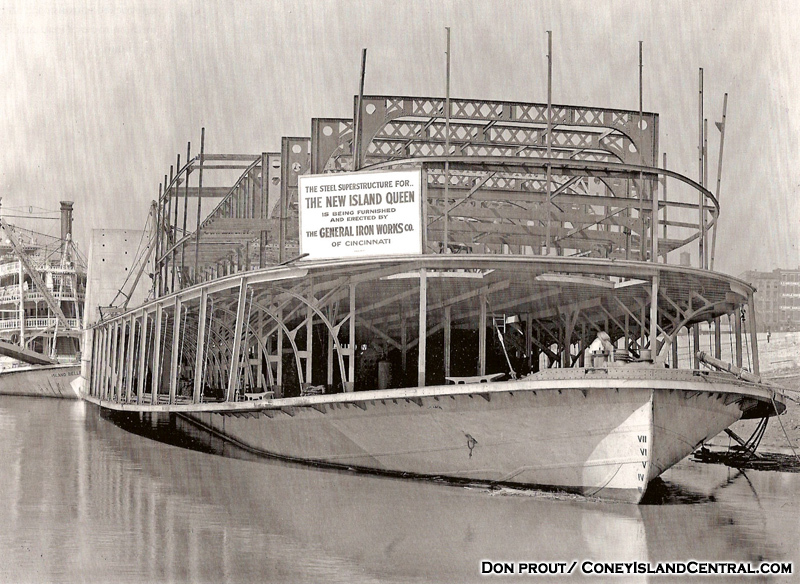 The first Island Queen began servicing Coney Island in 1896. Built at a cost of $80,000 the boat, could hold 3,000 passengers at a time. On November 4, 1922 the Coney owned Morning Star caught on fire at Cincinnati`s public landing. 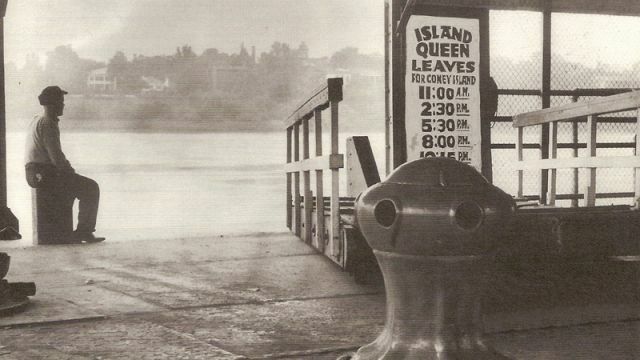 The fire quickly spread to the adjacent Island Queen. 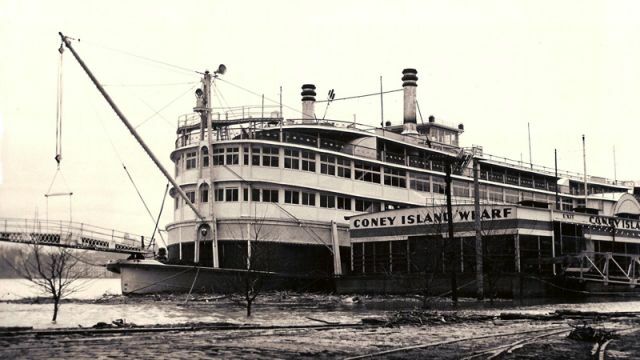 At the time, Coney`s owner George Brooks estimated replacement costs of $200,000 and $250,000 for the boats respectively. Soon after the fire, Brooks put the park for sale. 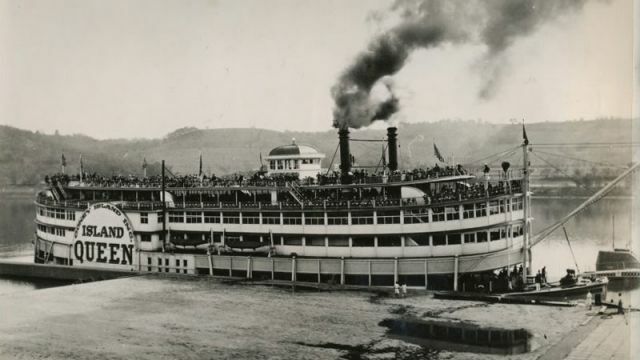 In February of 1923 the park was sold for $300,000 to John Winslow Hubbard, a steamboat enthusiast that owned the Louisville and Cincinnati Packet Company. Hubbard immediately secured the use of the East St. Louis and G.W. Hill to service the park. 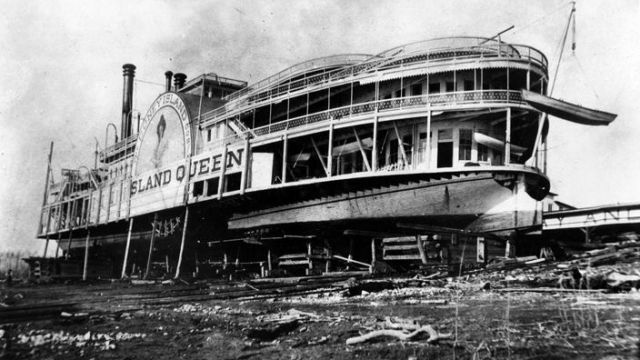 Park management under Hubbard suffered, and while he had announced to build a new Island Queen to replace the one lost in the fire, construction never commenced. At the end of the season, Hubbard put the for sale sign back on the park. 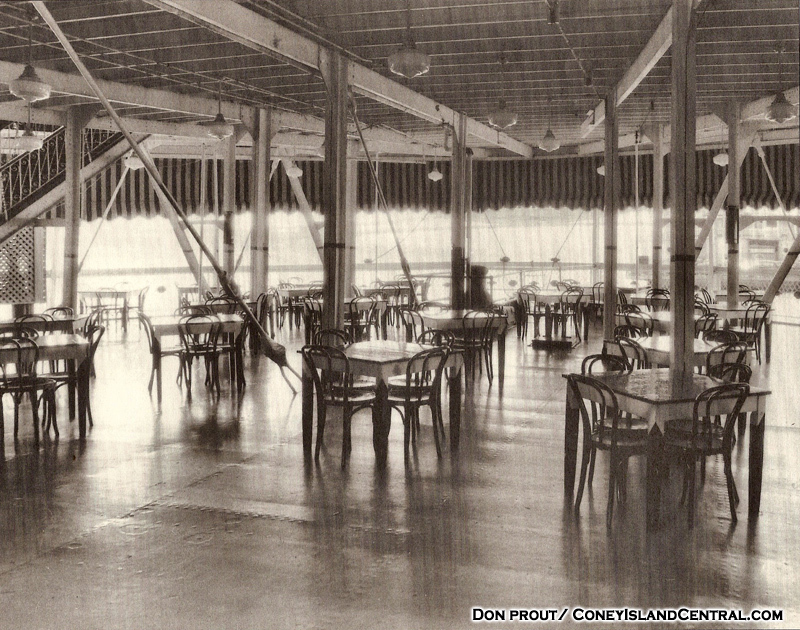 It was sold to Rudolph “Rud” Hynicka and George F. Schott. 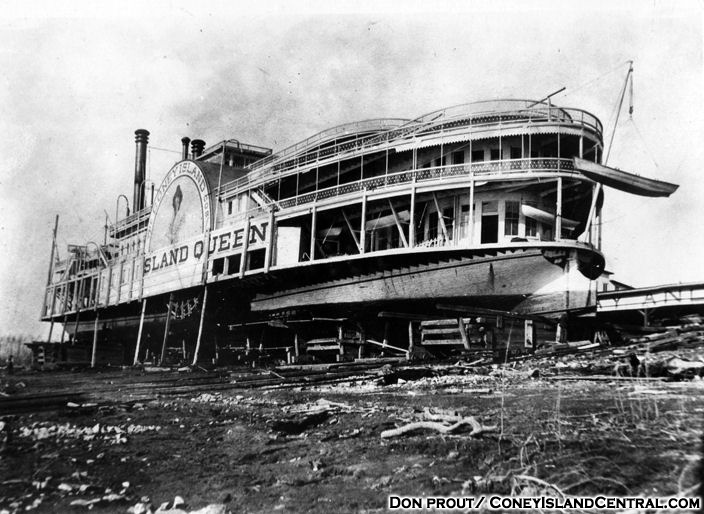 The second Island Queen docked at Coney Island. The new owners purchased the G.W. 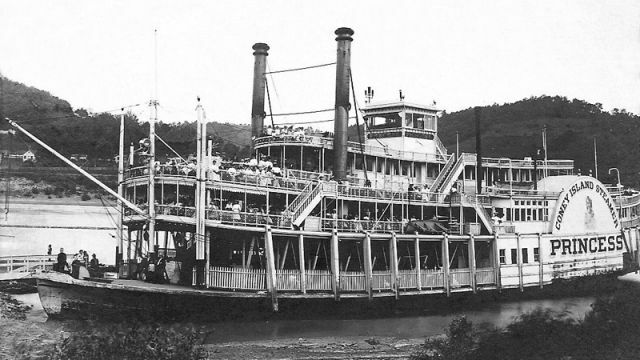 Hill and the steamer Viginia for use in 1924. They promptly renamed them Island Maid and Island Belle. 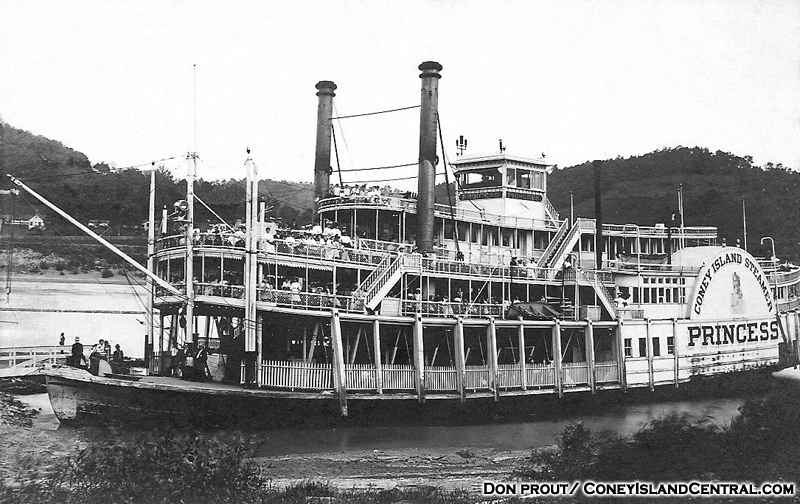 The Belle was in service until the mid 1930s. 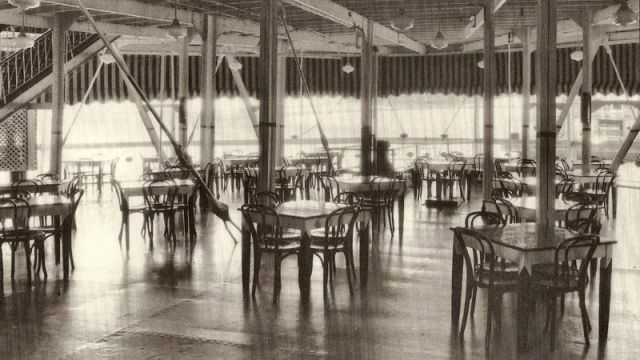 The Maid was used until the new Island Queen was placed in service then sold in 1927. 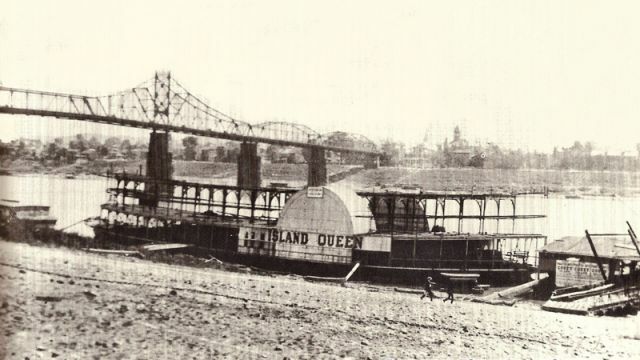 The Island Queen at Coney`s wharf boat at Cincinnati`s Public Landing. 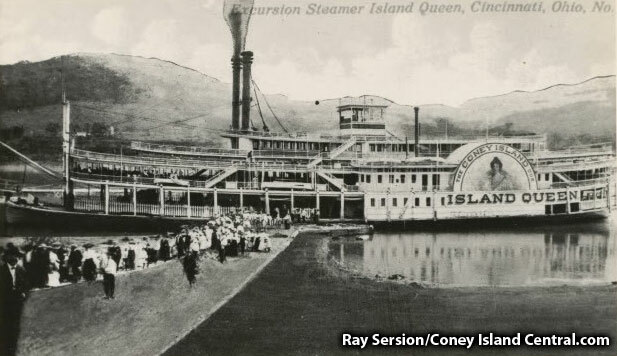 The new Island Queen cost between $300,000 and $400,000. Originally intended to be a powered by coal, it was converted to burn oil. 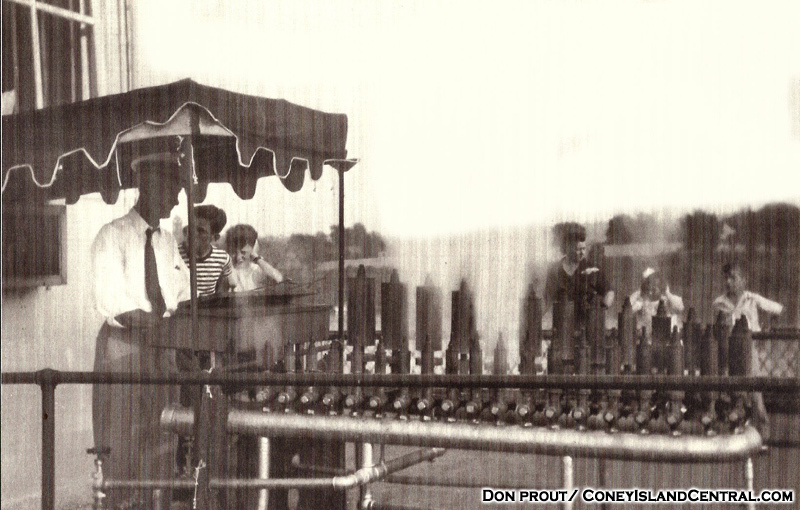 The 1,000 horse power steam engines were supplied by the Charles Barnes Machinery Company, located in Cincinnati. 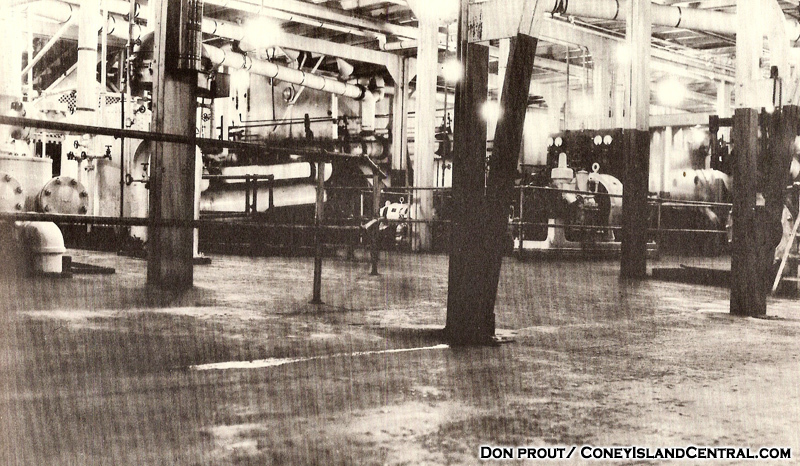 The boiler and smokestacks were manufactured in Gallipolis, Ohio. 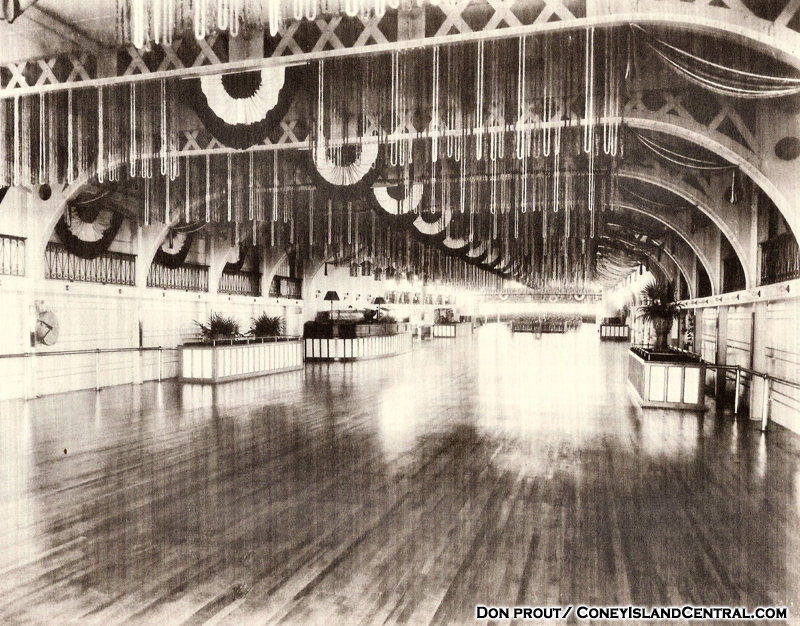 The new steamer measured 285 feet long, 45 feet six inches wide. 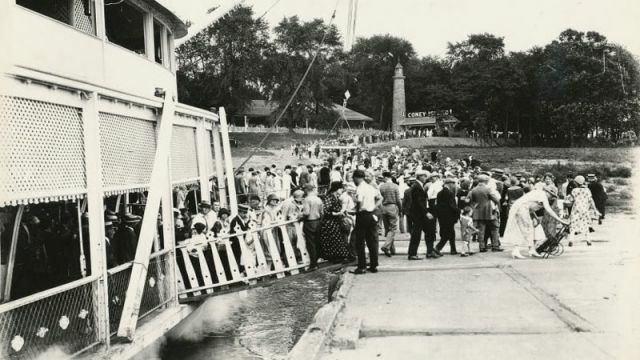 The two side wheels were 30 feet in diameter and the capacity aboard the boat was 4,000 people. 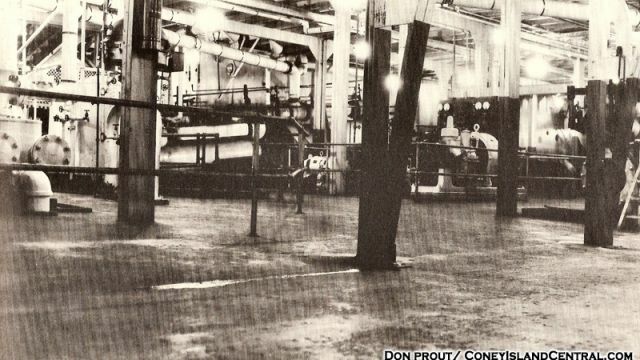 The boat tipped the scales at 1,000 tons and contained six boilers. 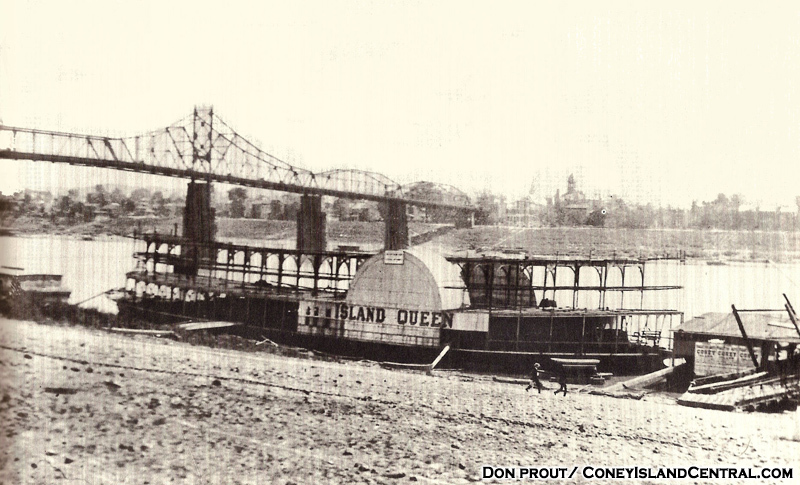 The first trial run forthe Island Queen was on April 1, 1925. 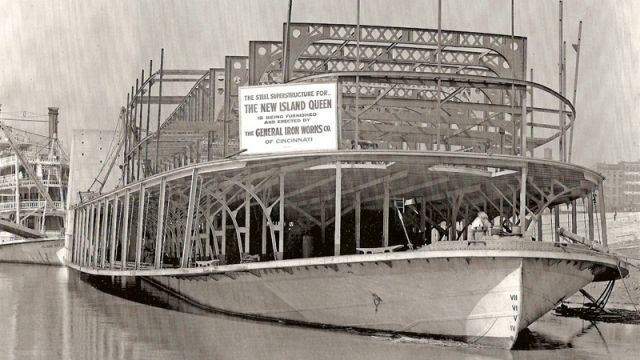 The boat was officially christened on April 19th, 1925 at Cincinnati`s Public Landing. Captain Ben Pattison was the steamboats first captain. 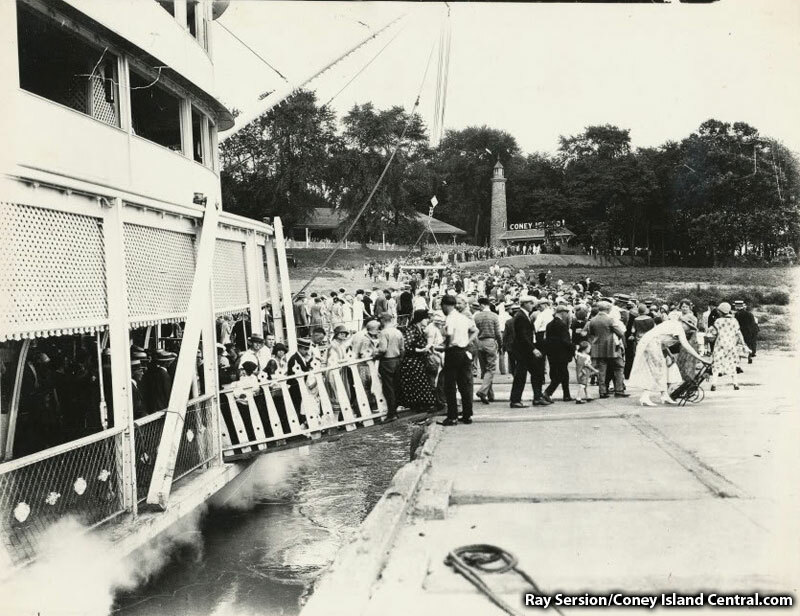 The same year the Queen began service, a new river gate and light house debuted at Coney to greet visitors from the boats. On the left is Captain Ben Pattison. 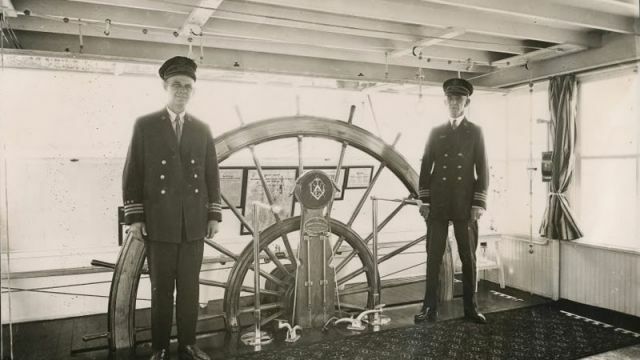 On the right is Captain Harry Doss. 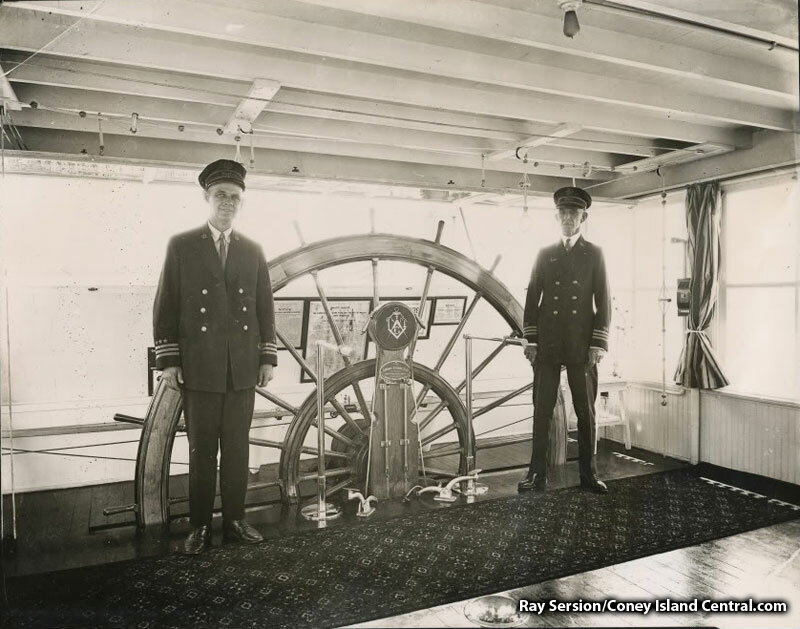 Pattison was the first captain aboard the new Island Queen. 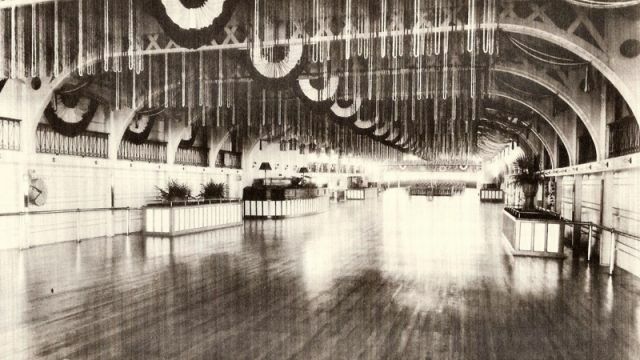 Picture from 1925. 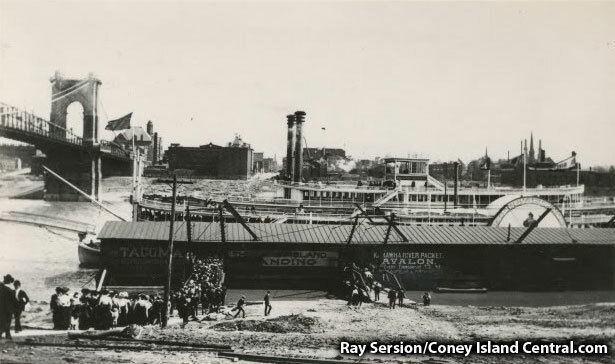 On Labor Day, September 1st 1947 the Island Queen departed Coney for the last time. 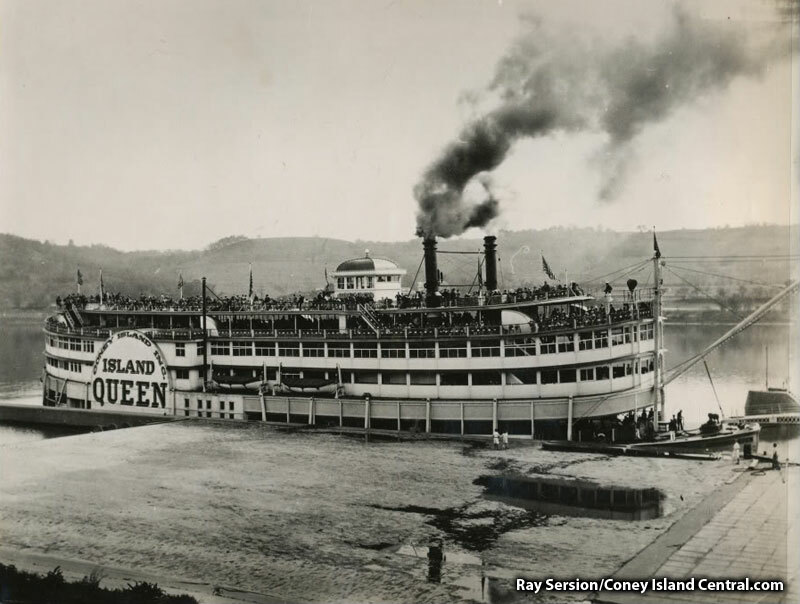 After stopping briefly at Cincinnati`s Public Landing the boat went upstream to Pittsburgh, PA. On September 9, 1947 at 1:16pm, the Island Queen exploded. 19 crew members were dead, a further 18 were injured. The explosion was caused by a spark when Fred Dickow, the boat`s chief engineer, lit a welding torch near the oil storage tanks. Fred`s body was recovered a few days after the explosion. 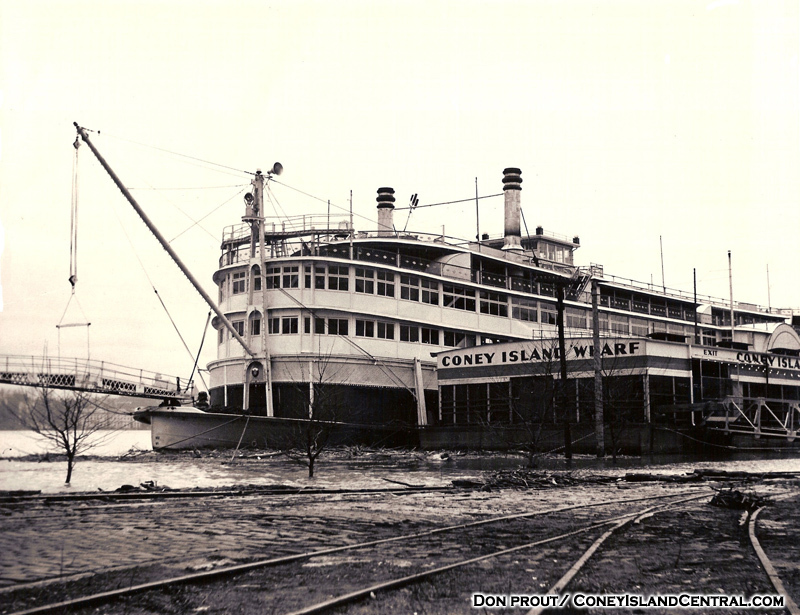 1948 was the first year in the history of the park that a steamboat did not have regular service to Coney Island. 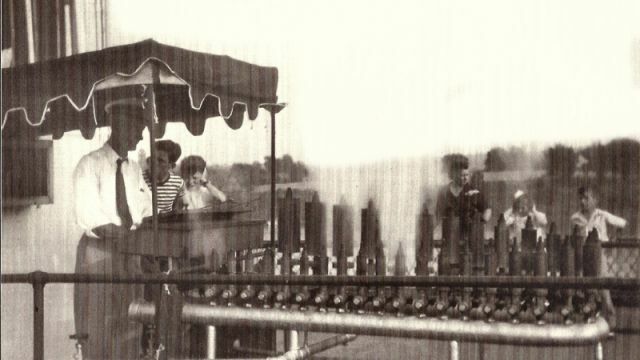 Remember, that since its beginning in 1886-when the park was purchased from James Parker by William and Malcolm McIntyre, who were steamboat captains- riverboats had been an integral part of the Coney Island business model. 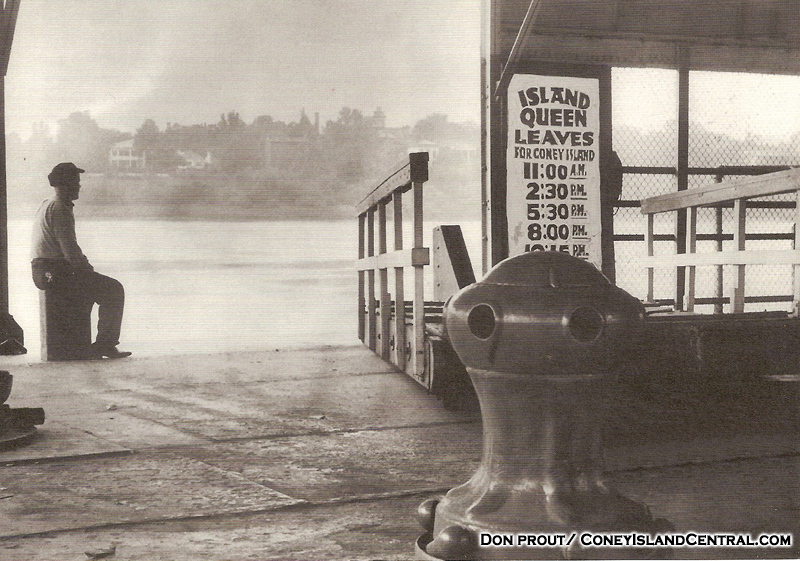 In the Queen`s final season, about a third of all the visitors to Coney arrived at Coney came aboard the boat. The Island Queen docked at the new lighthouse entrance from the Ohio River.